with a progression plan in place - The ability to execute proper drills enhances skill level and improves athletic foundations. Using practice plans create a path for progression of what to teach your young athletes and when to teach it. 2. Teach how to effectively lead the spectators - Cheerleaders should show confidence in their performance and in their crowd-leading cheers. 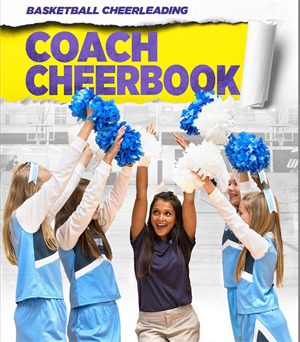 This will help the fans to get engaged while building self-esteem in your cheerleaders. 3. Communicate effectively - In order to teach the fundamentals and explain drills, you have to be an effective communicator. Likewise, good communication and organization are crucial in keeping parents informed throughout the season. This includes keeping them up to date on practice and game times and having a plan in place each and every practice.